A strong hand of cards and a mind as sharp as a swordfish's, well, sword is all you need for Sharky's and Clowny's latest romp! 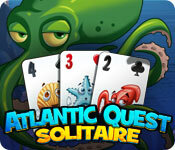 Atlantic Quest: Solitaire is rated 4.2 out of 5 by 24. Rated 5 out of 5 by melissa845 from Fun with some Challange I really liked this game but it is challenging despite the cute and cheerful cartoon like characters. 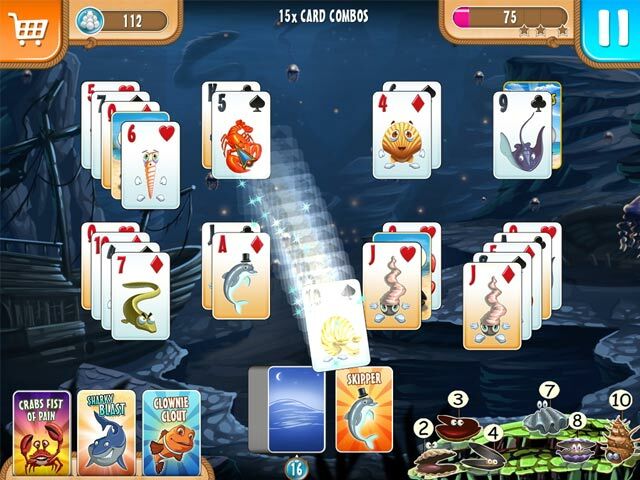 One has to clear the whole board of cards and particular power-ups cost money that one must work for by using the fish number cards in the deck wisely to make long streams of numbers of cards or to clear the board. I really enjoyed this game and found I got better and better as I went along. Rated 5 out of 5 by gamerist from Please continue !!! This is my 1st review after a long term membership on Bigfish. I really enjoyed this cute solitaire game. It is easy to play, has great graphics, nice characters and a funny storyline. I finished it in 2 evenings. It's ok for the start of a series I think. For the next episodes of "Atlantic Quest: Solitaire" I wished more extras (like a match-3 in between now and then, some challenging tasks to fulfill etc.) Dear Developer Team, you are on a good path, continue like that and your series will be a long seller. 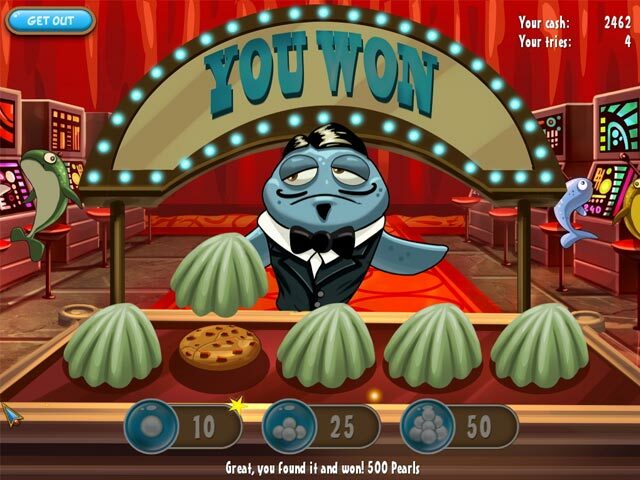 Rated 5 out of 5 by mcf_fan13 from Fun and Addictive At first, this appeared easy and cute; but, many hands definitely a challenge, thank goodness for the casino, nice addition. Fun and found it a bit addictive, cute theme. Rated 5 out of 5 by WOLFPACK4 from LOTS OF FUN FOR A SOLITAIRE GAME JUST WANT TO SAY.THAT THIS IS THUS FAR ONE OF THE BEST SOLITAIRE GAME THAT I HAVE PLAYED IN A VRY LONG TIME. I DOWNLOADED IT FIRST & WANTED TO PLAY IT TO MAKE SURE I WOULD LIKE IT, & ENDED UP BUYING IT & MY TRIAL PERIOD WASN'T EVEN OVR. THX BFG, U HAVE OUT DONE UR SELVES THIS TIME. THIS GAME IS LOTS OF FUN, & I WOULD RECOMMEND IT FOR EVERYONE. THERE IS NOTHING NOT TO LIKE ABT THIS GAME. I LOVE IT! Rated 5 out of 5 by splash1234 from I'm a kid at heart! It's a fun relaxing winner of a game! Cute as can be and FUN. Makes me laugh which we need at times. Wish they would have added an undo card to buy but there are lots of other powerups to purchase to help throughout the game. The characters are funny. Love the underwater theme. Already bought this one. Have fun! Rated 5 out of 5 by KOALA31 from Atlantic Quest: Solitaire A great solitaire game. But, it lacks a mixture with hidden object scenes. Rated 5 out of 5 by handymama72 from Love, Love This Game I had decided not to purchase any more games for a while, but half way through the demo I knew I just had to have this one. The colours are great, the fish are funny and I love the little helpers in the bottom right hand corner. Keep an eye on them. When they bat their eyes they are signalling that they can help you at that moment, so that you can really make some long runs. A word of caution, this game is very addictive. 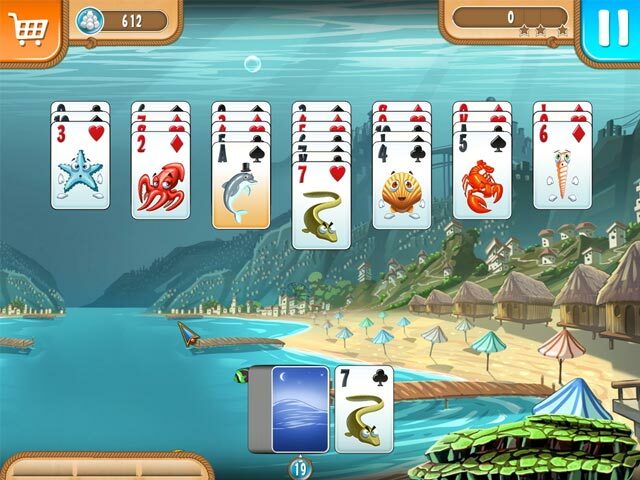 Rated 5 out of 5 by IsisRising from Underwater Fun A really cute game of solitaire with an under the sea adventure. Rated 5 out of 5 by DRAGONWYN from A Super Solitaire Game This is a solitaire game that's loads of fun. Cute funny characters, special features like a trip to the casino for extra points or pearls to buy power ups. The only feature I found missing is a undo feature for those little mistakes we all make. Oh well, it's a minor thing, I guess I'll have to pay more attention to where I'm clicking. I will be buying this one and I'm sure I'll enjoy it. It's "High Fins and cards galore" as Sharky and Clowny are off to their latest deep sea adventure!